KUALA LUMPUR: Whichever company wins the bid to build the Kuala Lumpur-Singapore High Speed Rail (HSR) project will have their technology and efficiency validated in the eyes of the world. 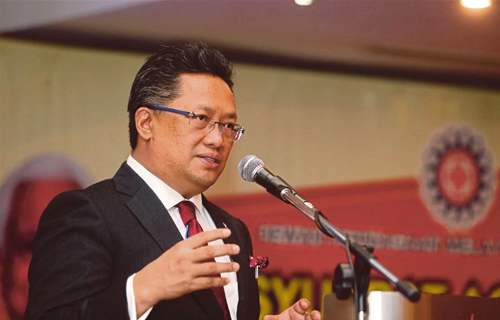 Minister in the Prime Minister's Office Datuk Seri Abdul Rahman Dahlan said the massive project is on the world’s radar as it is set to connect two vibrant international financial hubs. "There has been a buzz in the industry... you have to remember that (the project is) actually on the world’s radar as far as transportation is concerned," he said after launching the 16th Malaysia Economic Monitor report at Sasana Kijang today. An industry briefing on tenders for the HSR project is expected to be held on July 5 in Singapore.